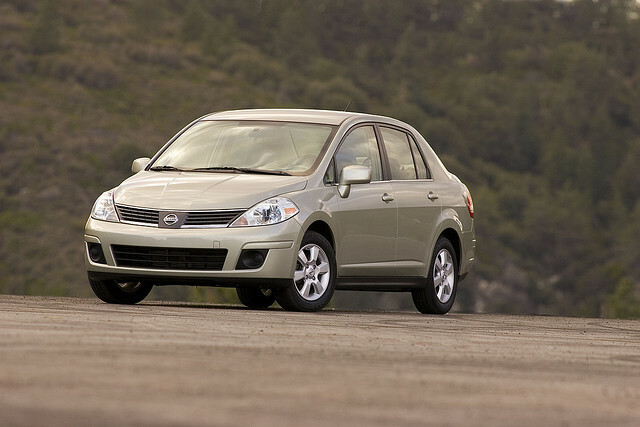 Built by Nissan to be an inexpensive car, the Nissan Versa succeeds in every way. The Nissan Versa is a very bare bones vehicle, having low cost plastic interior panels, and a small 1.6 liter 109 horsepower engine. The Nissan Versa won’t be winning any races, but that’s not the point of this little sedan. At a base cost of $12,815, the Nissan Versa is a very affordable car, perfect for a student who just needs transportation from point A to point B. The Nissan Versa gets very reasonable gas mileage as well, with 27 mpg in the city and 36 mpg on the highway. A few standard features include Bluetooth connectivity and steering wheel radio controls.